System: Win 8.1 Pro X64. 1) I am unable to open .dmsp files that were created with my previous version of Roxio NXT. I am able to open .dmsp fies that were created with versions of Roxio before the NXT version (ie. Creator 12, etc). 2) Unable to print dmsp/jpeg or png files to my new HP Envy 5330 printer. I am having no problems with my Epson NX515 or Brother HL-2270DW. I have contacted Corel/Roxo for my 30 day warranty support but have found them to be very unresponsive. I don't have any from prior versions to test with... But I did load some of theirs from 2009 OK.
Are you getting any error message with that ~ for example, the dmsp may be in tact but if the photos are not in the exact same location, it will throw an error! Generally speaking, nothing prints to specific printers as they did in DOS days... Since Windows, printers are an installed object and printing is sent to the 'printer object'. You might want to delete the Printer and reinstall its' drivers. I have contacted Corel/Roxio for my 30 day warranty support but they so far they have been very unresponsive. I have been a Roxio Creator user for over 8 years and any help or advise would be appreciated. The two threads were merged. Thanks for your reply. Sorry about the double post, I didn't think my first one got posted as I didn't see it after I entered it. The original .jpg, .png and .bmp files that were used in the photo project are all in the same folder as the saved .dmsp file. In the past, once the .dmsp file was created, I could delete or rename files that were used in the .dmsp without any impact opening the file. 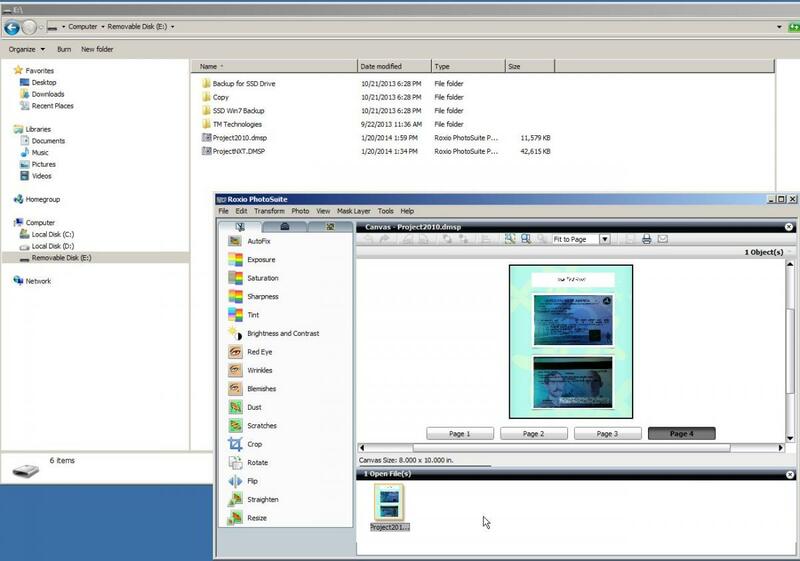 In fact I could move the .dmsp file to a different folder and still open it with Roxio Creator. I am only having trouble opening .dmsp files that were created with NXT, no problem opening .dmsp files created with earlier versions of Roxio Creator. 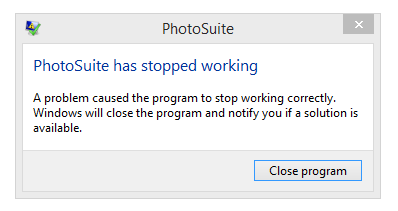 When I can't open a file I get a Photosuite dialog window that display "Photosuite has stopped working" and the application closes. See attached file. As for the printer problem, I have contacted HP and they think it is an application problem, not the printer. I have removed the printer and uninstalled the associated software and drivers. Then re-installed the printer with the latest drivers, with no change in results. 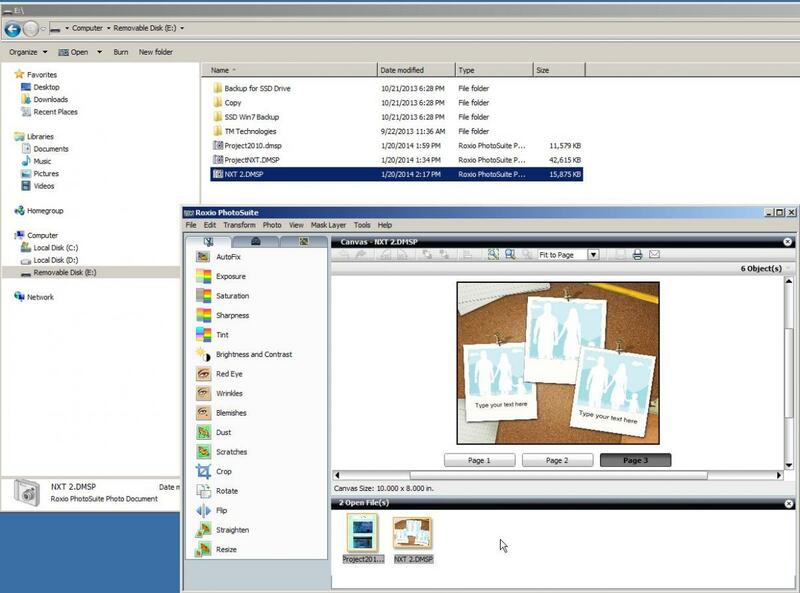 What I do see, and keep in mind I rarely even use these, is the dmsp file is NOT connected to the PhotoSuite program but rather the Photo Projects Assistant wizard. PC then re-installed NXT2 - the problem remained. Thanks once again for your support and assistance. PS- I will keep post open until I hear back from Corel/Roxio support. This is the answer I finally got from Roxio Support re Case # 01967840. Upon checking on this issue, we've learned that that this is a known issue with the software and has already been escalated to the proper department for investigation. What I can do for you is to transfer your case to them so they will be notified that more customers are having the same issue. Though they might not be able to contact you when a update or patch will be released, rest assured that they are checking on it and will update the Roxio Creator page. I will now escalate your case. "It appears I am getting the brush off"
Yes, you are. You can bet that there will be no new patch for NXT since NXT2 is their new flagship software. 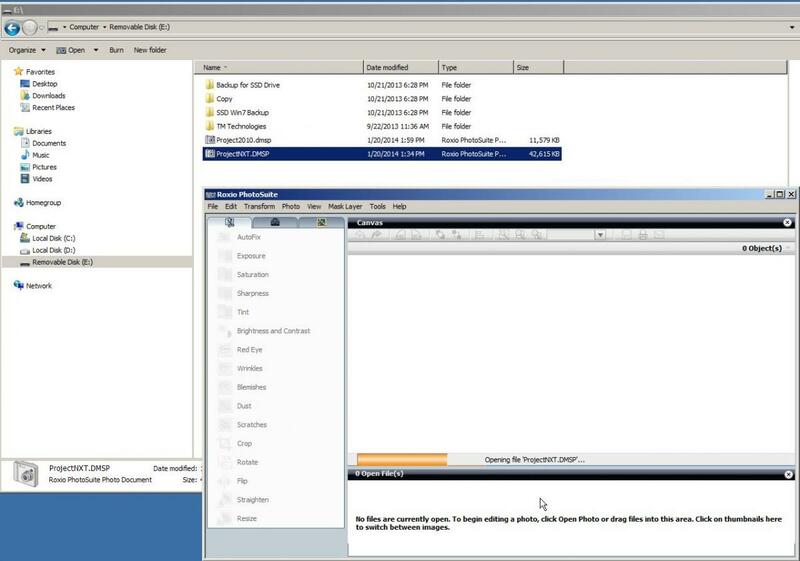 Anyone like to make book on whether NXT 3 will be able to use project files from NXT 2? Customer Support does not WRITE the programs or make the FIXES. They can only notify those that do and they can only fix something when someone above them authorizes it. I'm with Bruce. It's a brush-off from Roxio/Corel. The only discussion is the level up the foodchain that's administering it.